For the past 13 years we have been in the area, specializing in unique home furnishings & accessories. Shelly Bascetta and Lisa Peterson combined their talents to create Pineapples, Palms, Etc., which opened it’s doors in October 2001. 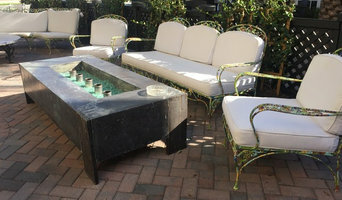 This one of a kind furniture boutique is located at The Shops at Fisherman’s Wharf in Jupiter. Pineapples, Palms, Etc. blends a special mix of vintage pieces with modern coastal furniture and unique accessories. Their style could be described as clean, timeless and classic. Customers say Pineapples, Palms, Etc. is more than furniture and accessories, it’s an experience. You come in as a customer and leave as a friend. Tracing our history back three generations in our Hallandale location, wasser’s is your destination for Designer-Brand Furniture, Quality Craftsmanship, Incomparable Customer Service and Guaranteed Low Prices. MACRAL DESIGN CORP is dedicated to importing from Europe furniture and other products for the bathroom, bedroom, living room and dining room. All of our products are designed and manufactured in Spain by prestigious brand names that are well-known in the European and world markets. Our design lines are inspired by the most current trends in Modern, Contemporary, Traditional and Eclectic styling. MACRAL DESIGN specializes in products personalized to the client’s tastes, from the perspective of visual design as well as size or color. We provide a wide variety of products designed and manufactured in Europe under strict standards of quality control. Our Goal: To achieve full customer satisfaction with products of high quality design and manufacture, at reasonable prices and with strict adherence to delivery dates. We do everything possible to adapt our quality-price relationship to the complete satisfaction of our customers. Whether you're transforming your entire home or just putting on the final touches, let us help you design your space. We are not only a great contemporary furniture store, but a resource on which to draw as you improve your home environment. willson & son ind inc. In 1945, Melvin and Lucille Baer founded Baer's Home Outfitters in South Bend, Indiana, based on one simple concept: offer customers famous brands that they can trust, quality craftsmanship and lasting designs at tremendous discounts. Baer's Furniture features a great selection of living room, bedroom, dining room, home office, entertainment, accent furniture, and mattresses. We can help you with your home design and decorating with our complimentary interior design consultations with professional designers. If you're looking for the perfect furniture to suit your tastes and fit your lifestyle, stop by one of Baer’s sixteen Florida showrooms today! Murphy Beds: Redefined. Zoom-Bed, the German-engineered remote controlled retractable Murphy Bed - snakes up behind an elegant cabinet instead of folding down like Traditional Murphy Beds, leaving space for your TV, bookcases, or whatever you want to put in front. Based in the heart of Miami, we represent all of the leading trends in today's contemporary, transitional, and modern furniture market. 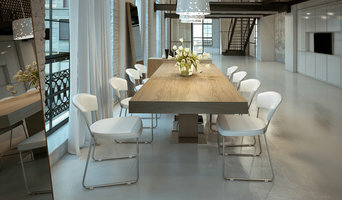 Our selection of readily available modern furniture is unmatched by another retailer in the area. Come browse our huge selection of sofas, beds, dining sets, office furniture, bar stools, and patio furniture. We offer: * Up to 30% OFF In-Store Specials Checkout our huge floor model sale Company History * Established in 2013. At ModernMiami.com we take pride in being a dynamic and affluent furniture retailer that showcases the class and style of furniture the natives of Miami seek. With leading designs from Europe, Italy and an influx of inspirations from the east, ModernMiami.com brings classic to contemporary furniture for you from store to door. ModernMiami.com is an upbeat and eclectic metropolitan warehouse style store that aims to demystify design and bring high standards and fresh modernity to a wider audience who want to communicate their individuality with good-quality and affordable design. 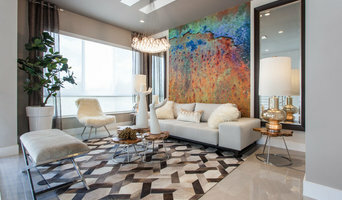 ModernMiami.com is one of the most recent premier establishments for top-notch furnishings that augment living rooms, dining rooms and bedrooms - one of the finest furniture stores in Miami. We hope to furnish your home only with furniture you dreamed to be in your home. Idlewild furniture was inspired by adventurer, designer, and environmentalist John Grimes. John’s love for horses and trees inspired him to create a one of a kind equestrian brand that was all about quality and style. Creating exotic furniture, John Grimes sourced the worlds finest old re-claimed teak wood. He collected beams from old ships, buildings, ties from centuries-old forgotten railroads and drift-wood from the sea, recycling these materials to create luxurious, bold and timeless pieces. Idlewild custom crafted recycled wood designs have adorned fine homes across the country and around the world for decades. Working with renowned interior designers and a clientele that truly understand the quality and service of what Idlewild embodies. Our experienced design team can assist in providing tailored solutions for your next project and bring your vision to life. Floral & Hearty Designs, Inc.
Planning on buying new furniture and accessories for your Pompano Beach, FL home? A wide range of home furnishings and home decor accessories are available in the marketplace. If this is your first home, check out our directory of furniture retailers in your area for ideas and cost comparisons. Or you may already have a favorite style and a furniture retailer that you’ve worked with in the past. Whatever your situation, it’s always a good idea to do some research before visiting a Pompano Beach, FL retailer or finding a custom furnishings manufacturer. Take your time on any buying decisions. If contemporary is your style, don’t buy something traditional because it’s on sale. 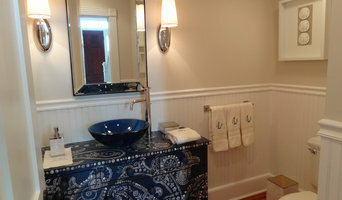 Many Florida home furnishers offer interior design consultations or room planning guides to get you started. Whether you decide to work with a home decor specialist or to become your own expert, it’s important not to rush the furniture-buying process. Visit plenty of Pompano Beach, FL showrooms and stores so you can feel comfortable with your purchase. Find furniture and accessories manufacturers, showrooms and retailers on Houzz. Narrow your search in the Professionals section of the website to Pompano Beach, FL furniture and accessories, then choose the nearest metro area for showrooms and retailers. Or you may want to look through Florida photos to find designs you like and contact the furniture manufacturers and showroom galleries directly.